This oversized "Baby Jumbo" postcard shows the original sign, replaced between 1952 and 1954. 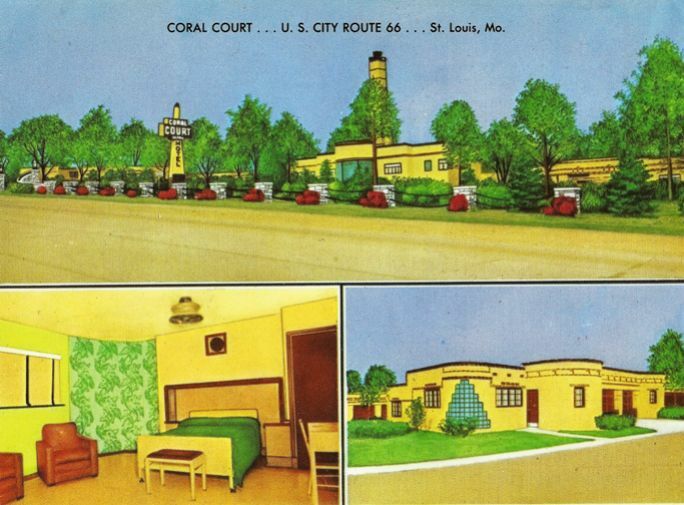 In 1953, Carl Austin Hall holed up the Coral Court with a prostitute after Hall and Bonnie Heady kidnapped and killed six-year-old Bobby Greenlease. Half of the $600,000 ransom was never found, prompting rumors it was stashed at the Coral Court.